This week’s Pet Project is brought to you courtesy of the tooth fairy! 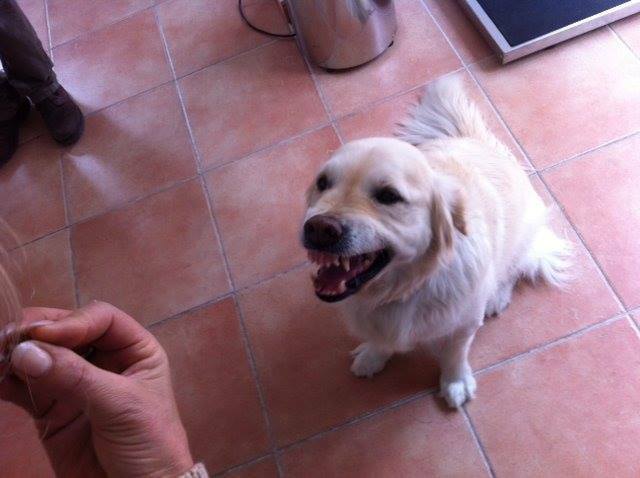 Local resident Izzy Newman’s dog Diffa, on hearing he had won the Smile of the Month competition. There are a huge range of chews and treats on the market to help keep pet breath sweet, but brushing is still very important. 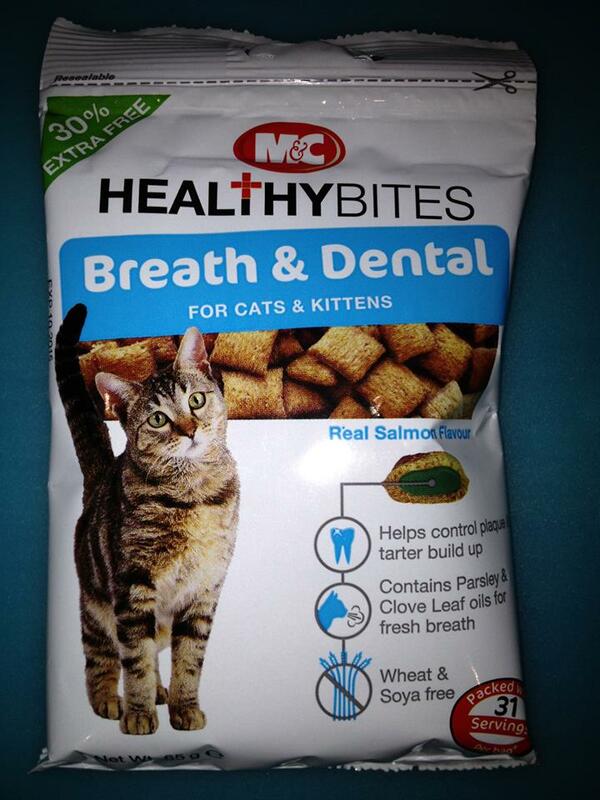 When even the cat has dog breath it’s clear something needs to be done, yet dental care for pets is frequently overlooked by owners. Although there are a range of dental chews on the market, in an ideal world pet owners need to get up close and personal with a regular routine of daily brushing. However, if your pet isn’t accustomed to someone rubbing around its teeth and gums from a young age, this grooming process can be easier said than done. If it’s not possible to brush your pet’s teeth regularly, it’s important to provide a mostly dry food diet plus plenty of things to chew on. Chewing releases more saliva which has a very cleansing effect on the mouth. A proper veterinary scale and polish is top of the list for getting rid of bad breath and providing a clean start for new and better pet hygiene habits. Oral pain in dogs and cats can be caused by abscesses, rotten teeth or nasal fistulas among other things. Cats have such high pain thresholds that they can be in agony before owners notice clear signs of toothache. For this reason most vets will give a quick mouth check when they see your pet for its annual vaccinations, enabling them to nip some painful problems in the bud. While twice-daily flossing may be a little OTT, regular tooth and gum brushing plus the right diet can spell an end to a home full of killer halitosis and contribute to a far healthier pet. Thanks to Calvia Vet for their help with this article.